Common interview questions available in this article are NOT solely intended for the Schengen visa interview, hence they are usable for any type of visa interview of any world country. A Schengen Visa interview isn’t only a meeting where you provide supporting documents for a visa application to a visa official of a respective country. Matter of fact, a visa interview is intended for a more in depth communication between the applicant and the representative of a diplomatic office. The embassy or consulate of the Schengen country, in this occasion seeks that by asking specific and detailed-oriented questions to perceive if the candidate is actually worth given a Schengen visa. During such an interview, the candidate does not get questioned solely about the provided information in the visa application form and its supported documents. There are other particular questions, sometimes even unusually personal, that the diplomatic official questions the candidate. Over the answers to such questions, the diplomatic official, just wants to collect a more across-the-board information about the candidate’s situation, especially about its sense of answer-ability, frankness, and accuracy. The diplomatic office does not want to issue a visa to someone who does not have such qualities. This for the fact that the office wants to absolutely make sure the visa holder will return home within the expected time, and that will not be prone to illegal activities within the Schengen Area. How a visa candidate can successfully handle such questions? How not to become a failed candidate who gets a visa refusal because of its poor or incomplete answers in a Schengen or other visa interview? Which are these questions, whose accurate answers make the most of the candidate’s representation in a Schengen interview session? Below, you will find which are the normal questions the Schengen Visa officials make to their visa candidates. Mind also our explanations and recommends presented underneath each of the following questions, in order for you to easily plan an answer that helps you GIVE YOUR BEST in a visa interview. Note: The following questions exemplify all the possible questions that a representative of the diplomatic office can make to visa candidates. Beware that not all the questions will be done to a single candidate. Make sure to early enough commit to memorize the exact marriage date and marriage details (in case of being married). Any wrong or insecure answer on years of marriage might be seen as an attempt to give an untruthful answer. If not married, you might simply mention you are unmarried or divorced. Answer simply with a yes or no. Also, be sure to clarify the relationship you have with the person accompanying you in the trip. Can You Reschedule A Shorter Trip? 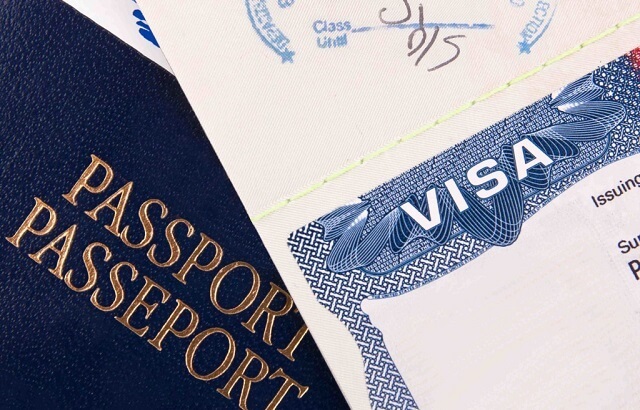 Why Do You Need Three/Month Visa? Mention your interest to sightsee different tourist destinations within the Schengen Area, and that you cannot do that in a short period of time. However, express your complete readiness to reschedule your plans and shorten your trip if needed. Can You Show Your Bank Statement? Make sure to not show any hesitation when providing the document of your bank statement to the official. This is another question you should directly answer with a yes or no. In case you have a student scholarship, mention the name of the institution issuing the scholarship, together with the amount of financial support it covers, as well as the period of it. Do You Have A Covered Health Insurance For This Journey? Provide the evidence of the covered health insurance for the period of stay in the Schengen Area. Answer frankly with a yes or no. Do You Have a Job-Leave Approval Letter From Your Employer? Simply confirm the possession of this letter from your employer (signed and stamped) and offer it to the official. In case you do not have such a document, it is worthless trying to verbally convince the official about having your employer’s authorization to leave the job during the travel period. Sometimes you can have difficulties to quickly recall children’s job title, their exact birth date, their exact name of the company, university or school. That is why we suggest you to prepare yourself and memorize such information early enough, to avoid giving a hesitant answer during the visa interview. You might answer with I do not have any children yet – in case you are married with no children you should state you are unmarried with no children (if single), or, simply state the number of children and their gender – if having children. Anyhow, make your answer a natural one. Do you Have any Family Member or Friends Living in the Schengen Area? Make sure to make a list of all the family members and friends living in the Schengen Area early enough before the interview. In case you have forgotten to mention anyone during the interview, the embassy might consider it an attempt to skip the answer. Do You Have Any Relation With Any Involved Person In Latest Terrorist Activities? Try to not take it the question as a cautioning. Answer the question truthfully and without a hesitation. Tell the official that you do not have any relative involved in these activities and express your sad about such acts. Show the official you are completely against such awful acts and individuals who commit them. Do You Have Any Relative Or Any Known Person Studying In This University? If seeking for a student visa, declare the names and relationship with the relatives or friends that are currently studying in the university in the Schengen Area where you have been admitted to study (if any). Do You Know The Annual Incomes Of Your Son/Daughter? State the annual incomes that your children earn. Consult your child on his/her amount of net annual earnings before the interview, in order to offer it correctly this particular information to the official. Yes is the answer the official wants to hear from you. Additionally, you might provide an evidence for that. So, show you are a responsible citizen who pays its taxes. Do You Plan To Pursue Masters Or Doctoral Studies After You Finish Bachelor’s? Express your concern regarding the current Bachelor studies, but mention that there might exist the possibility for you to consider this opportunity in the long-term future. The answer should be simple, yes or no. Additionally, you might state the number and gender of the children of him/her. Have You Applied In Other Universities And In Which, Also Did You Get Admitted Into Other Universities? State names of the universities where you applied for admission to (if you applied in more than one), agreeably mentioning if you got the permission to study at any of them, despite the one you chose studying to. Give the answer simply, by offering the evidence of a booked or bought flight ticket (depending which of the forms you chose to get it as a proof of scheduled transportation). Have You Ever Travelled To Other Places? Answer with a yes or no. Also, you might tell countries where you have travelled outside of your living country. How Did You Choose This University Or College? Indicate your interest in the specific study field that the chosen university offers. Do some research about the university and talk about distinguishing potentials that the institution has, compared to other alike institutions. In case you have a scholarship to study in this university, prove it with the letter of scholarship. Generally, try to highlight the fact that you were attracted to study there because it fulfills your educational expectations. How do you heard about this university? You might explain honestly the way you heard about the university, such as from the internet, friend, family, local informative agencies, or other forms. How Do We Know You Will Return Home Within The Visa Allowed Period? Mention to the representative of the diplomatic office your important relationships and educational/professional/personal affiliations in your home country that give you reasons to return. Such can be your family, ongoing studies, a candid ongoing job position, business, property, or other. Give an answer that is fully in compliance with your travel itinerary – mention your time of departure and your return. 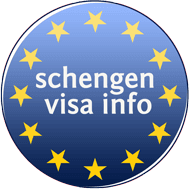 Remember that your visa will be issued depending on the time you plan to stay in the Schengen Area. >> How to make a flight reservation without paying the full price for the flight ticket? Answer by stating the number of years working for the current company. How Many Siblings Do You Have? Where Do They Live? What Do They Do? How Many Children Do They Have? State the total number of sisters and brothers (if any). Give all the other asked above information correctly and with no hesitation. Be as much natural as possible in your conversation. As an employee, you should offer information about the true number of employees, and if needed divide female and male employees in numbers. How Much Is Your Salary Or How Much Do You Earn? State your net monthly salary, in case you are an employee. If you are an employer mention the net earnings. How Much This Journey Will Cost You? Your calculations must be done early enough the interview. Calculations must include all the investments you do before and after the arrival, as well as during your return to your home country. So, show you are a convincing candidate that properly has projected its financial aspect and is able to deal with them when abroad. How you will spend your time when you daughter/daughter-in-law go out to work? Tell you will explore the neighboring area, you will take care of the garden, children, or else. Make sure the answer to be convincing and not a projected one. This is another question you should give it right away without not much of thought, stating the monthly amount of money you receive from your accrued pension fund. Is this your First Time in Schengen Area? Answer the question with a yes or no, but you can also give details about the number of visits, dates, places you’ve been. Try to be exact with the information you provide. Is your daughter/daughter-in-law currently pregnant? Simply reply with a yes or no. If you know the gender of the baby you might state it in a natural way. Yes or no is enough as an answer. What are your plans after your return? In case you are applying for a student visa, tell that you will be likely to apply for a job related to your gained education abroad. In case you are seeking to pursue further studies than the answer must be truthful. Also, in case you are expecting to get professional training or jump up in a start-up company you will state that similarly. What did you say does your mother do? Explain the profession and the job of your mother (if a working mother). In case your mother does not work, you should indicate her daily activities, including hobbies and passions. What do you do in your living country? Discuss about your activities in your home countries, i.e. education, family, work, hobbies, and other. What do you know about the country you are visiting? Take time to do some research about the specific country you are about to travel and the Schengen Area in general. Focus talks a little bit about the freedom of movement, law uniformity and collaboration between Schengen countries. Additionally, mention traveler areas of your interest found in the Schengen Area (i.e. Eifel Towel, German castles, Amsterdam) and why you chose the specific country for your visit. What do you know about the country you are about to study to? Take the time to explore a little about the benefits the education of the country where you are about to study to offers compared to other surrounding countries. Talk about company’s main activities in short. Tell the official in short your company’s main accomplishments in the local or international market. Do not over-talk about each activity of the company just because you are the owner, leading to an over-elaborated and tiresome answer. What Does Your Son/Daughter/Son-In-Law/Daughter-In-Law/Sponsor/Brother/Sister Do In The Schengen Area? Make sure to get such information from your relatives enough before the interview, about her/his job, studies and living in the Schengen Area. Write down and try to memorize their university and department they’re studying to, job position and the company working for, and location details. You will not leave an impression of a serious candidate not being able to recall your children’s occupations, so it is of a great importance providing a genuine information in this regard. What is the legal status (what visa) of your son/daughter? Indicate correctly the legal status of your children. Contact them early enough to get the correct information, in order to not give unfitting information in the interview. Give an answer by stating your highest received degree from a school or university. Do not start talking about every school and educational institution you attended before, only in case the official asks you to do so. Being confident when explaining the purpose of your visit is important. Give details to the official why you want to make the visit by offering also the supporting documents evidencing the purpose of it (i.e. Sightseeing France’s tourist areas, professional training, therapy appointment, studies, or other). What Is Your Daughter’s, Son’s Birth/Wedding Date? Make sure to offer the correct information. Confirm these dates early enough the interview. What Is Your Father’s, Sponsor’s Income? The level of earnings of the father or sponsor should demonstrate to the official their ability to cope with your travel and stay costs abroad for the planned period of stay. What Is Your University Yearly Cost? Take the needed time to calculate early enough yearly study and living costs during your stay in the Schengen Area for study purposes. Any misinformed information might seem suspicious to the official. What Property Do You Have In Your Home Country? Name assets you own, try to not forget any (i.e. House, car, other). What Will You Do If Your Visa Will Be Rejected? The official wants to hear you have things to do in your country. Tell him/her you have commitments you should take care of, by mentioning your important engagements and relations. When In Schengen Area, Are You Going To Seek Employment? If you are seeking for a study or other visa which prohibit seeking employment in the Schengen Area, you must absolutely not hunt for a job. Therefore, you should be clear in explaining that your aim is not to find a job there by emphasizing you completely understand specific visa limitations. When Was Your Last Time Seeing Your Son/Daughter? Try to recall earlier than the interview the last time you have met your son/daughter, stating the correct year and month. When You Will Travel To Schengen Area? There are many reasons the embassy or consulate representative wants to get your straightforward answer to this question, despite having such information in your booked flight ticket. Mainly the diplomatic office wants to make sure you understand the visa’s validity limitation and that you will not remain in the Schengen Area more than allowed. So, give an answer that goes along with the dates of your booked round-trip flight itinerary or flight ticket. Because you might be traveling across the Schengen Area, during your stay in Schengen Area, make sure to mention the place where you will be accommodated during this time, instead of giving detailed information about all the places you will visit. Make sure of the answer to be in full conformity with the proof of accomodation provided amongst other application supporting documents. Where Did You Finish Under-Graduate/Graduate Studies? State the name and the location of the university or college where you completed your studies. Tell the official the name of the company where you are currently working as well as its main area of activity. Which Countries in the Schengen Area are You Planning to Visit? Refer to all the countries which you plan to visit when in the Schengen Area. Still, you must state which will be your country in the Schengen Area where you plan to stay the most during your visit. This is another important issue. Give your best frank answer! The diplomatic office analyzes your financial statements or sponsor’s anyways, and any misled information will prove them you are not a worthy candidate to be given a visa. Why You Want To Go To The Schengen Area For Three/Six Months Where You Have A Job In Your Living Country? Specify the exact reason leading you to give up work for six months. Such can be a sick family member, a job training abroad or else. Anyhow, the answer must be true and incontestable. Who Will Take Care Of Your Business/House/Property When You Are Visiting The Schengen Area? Why Do You Think We Should Give You Visa To Study In Schengen Area? Why Do You Wish To Study/Work In The Schengen Area And Not In Your Living Country? Will Your Wife/Husband Go Together With You On Your Trip? I Don’t Think You Will Come Back, What’s Your Comment? Your Sibling Is Working In Schengen Area, Would You Do A Similar Thing?